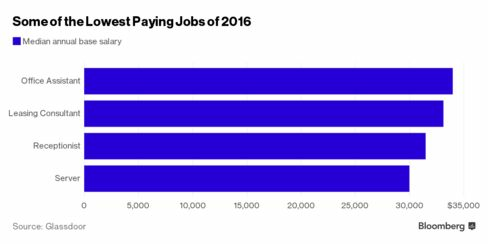 If a robot wouldn't be able to handle your job, then you might be in the rarefied group that got the highest paychecks in America last year. 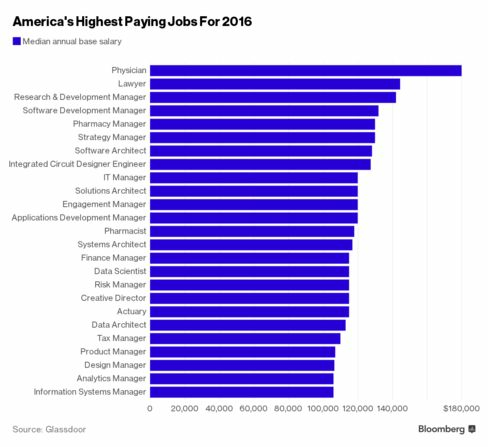 According to a new report from career website Glassdoor Inc., physicians, lawyers, and pharmacy managers had some of the top salaries in 2015. 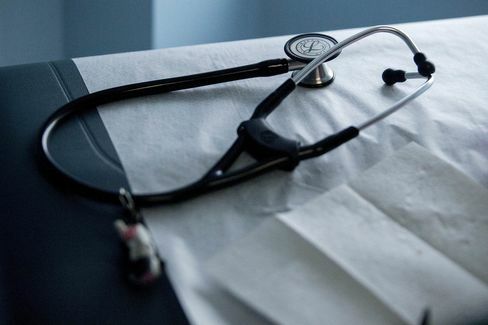 The firm compiled a list of the 25 highest-paying jobs in America based on job and company reviews from the beginning of 2015 until January of this year, and physicians topped the list. One thing that is quickly apparent is the more skills a role requires, the better chance it has at commanding a higher salary. "This report reinforces that high pay continues to be tied to in-demand skills, higher education, and working in jobs that are protected from competition or automation," said Dr. Andrew Chamberlain, Glassdoor's chief economist. "This is why we see several jobs within the technology and health-care industries." Other roles that received at least 75 salary submissions and topped the list include software architects, software development managers, and strategy managers. Here's a full look at the top 25 and their salaries. The report comes after the World Economic Forum (WEF) released a study earlier this year that predicted millions of jobs will be lost by 2020 due to technological developments. "[C]urrent trends could lead to a net employment impact of more than 5.1 million jobs lost to disruptive labour market changes over the period 2015-2020, with a total loss of 7.1 million jobs—two thirds of which are concentrated in the Office and Administrative job family—and a total gain of 2 million jobs, in several smaller job families," the report said. Among Glassdoor's list of the lowest-paying jobs are a few from the office and administrative area that the WEF study referenced. Roles where technological advances have already caused staffing cuts in a respective field were likely to have been among the lower-paying jobs last year. "Unlike the highest-paying jobs, these lower-paying jobs typically do not require higher education, technical skills, and in some cases are being replaced by automation or technology," Chamberlain said. The report also dived into how many openings there are for each role on the firm's website. While there are nearly 8,000 listings for product managers, it might be tough to land a role as an information systems manager, given the mere 147 openings on Glassdoor.